If you’re one of the people who cannot function properly without a strong cup of coffee in the morning or whether you’re just a fan of espresso-style coffee, then you will undoubtedly be looking for a reliable espresso machine to call your own. Mostly found in coffee shops and restaurants around the world, espresso machines have slowly but surely found their way into many modern households and understandably so considering how practical these machines can be. Having said that, do not think for a second that these machines are too expensive just because of how complex they are. In fact, you can find some pretty affordable ones if you go looking. With that in mind, let’s take a look at the ten best espresso machines under $500 and find out what features to consider when buying one. 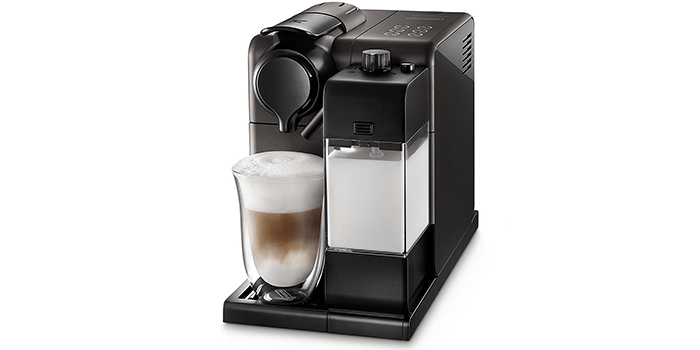 Using its patented 19-bar pressure espresso extraction system, the DeLonghi Nespresso Lattissima Touch Original Espresso Machine with Milk Frother creates a beautifully delicious cup of coffee every time. The machine comes with 6 buttons that are pre-programmed for making ristretto, espresso, latte, hot milk, lungo, and cappuccino with the help of Nespresso capsules. 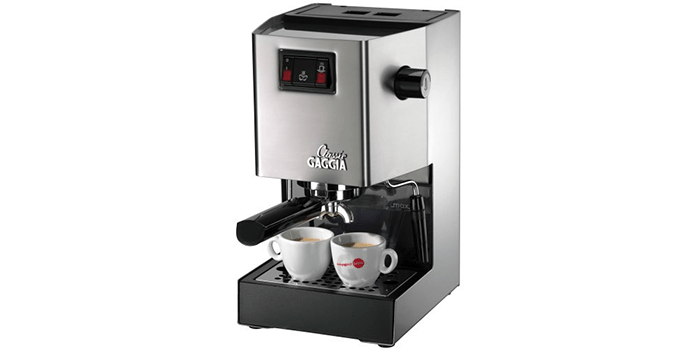 When choosing the automatic cappuccino system, you get a thick and rich milky foam for an authentic experience. The machine takes only a few seconds to warm up and start making a cup of coffee. 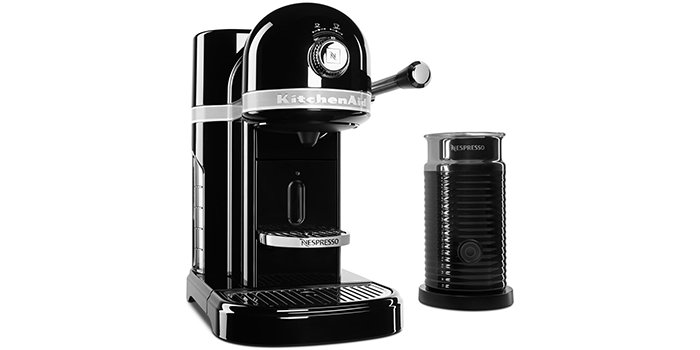 KitchenAid is a worldwide leader in kitchen appliances and the KES0504OB Nespresso Bundle truly stands out for all the right reasons. It has an easy to load capsule system which makes the filling and emptying of the machine a lot easier. While most machines have one preset setting for brewing the coffee, this unique machine comes with a brew strength selector so you can customize your coffee the way you like it. It is also made from a die-cast of all-metal which makes it extremely durable and features a 1.3-liter water tank as well as a useful milk frother included. The DeLonghi America EC685M Dedica Deluxe Espresso Machine offers 15-bar professional pressure which results in an excellent cup of coffee every time you use it. The adjustable controls also make it easy to modify the coffee to individual preferences. No matter what your drink – espresso, latte, or cappuccino – this machine delivers. The machine also has adjustable foam and steam levels to match all your coffee needs. With the Automatic Flow Stop feature, you also don’t have to worry about spilling any coffee. 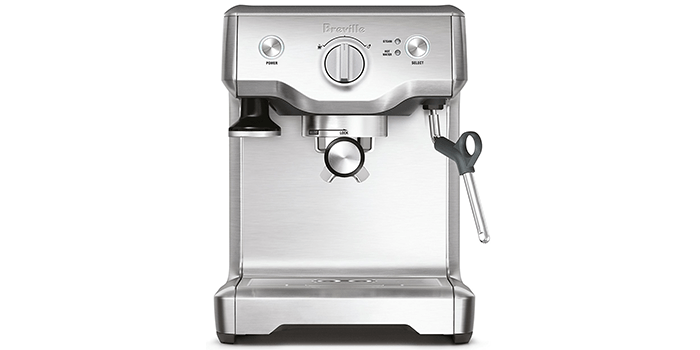 The Breville BES500BSS Bambino Plus Espresso Machine is a powerful option when it comes to coffee machines. It has an automatic steam wand that adjusts the temperature and texture of milk which enhances the taste of your coffee. Thanks to the thermojet heating system, this coffee machine reaches the required temperature in just 3 seconds so you no longer have to wait for a cup anymore. The coffee pod holds 19 grams of freshly ground coffee which is the perfect amount for making an exquisite cup of coffee. Using a low pressure, the coffee is extracted steadily and retains its rich flavor. 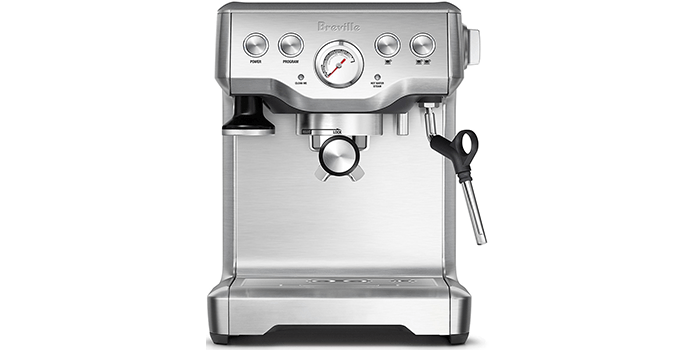 The quality of the Breville BES810BSS Duo Temp Pro Espresso Machine starts with its 15-bar pressure system that gradually blooms the coffee grounds before extracting. 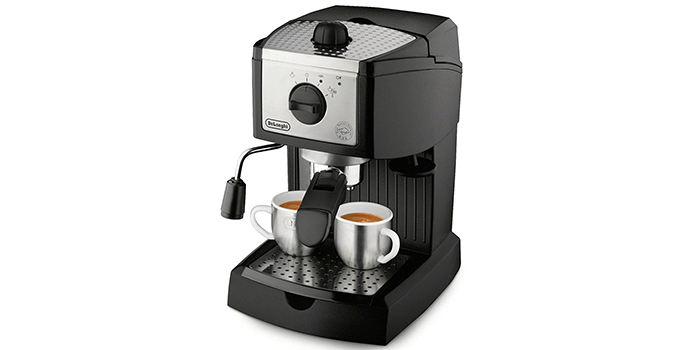 You can choose to extract a single espresso shot or a double shot at one time with the manual volume control. You can use 1-cup or 2-cup filler baskets to make single or dual cups at a time. It also needs to be said that it has a 61 oz water tank and a steam wand which helps to steam and froth the milk. 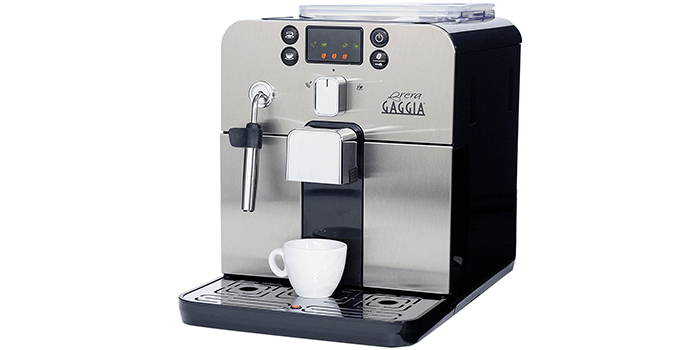 The Gaggia Brera Super Automatic Espresso Machine is a truly professional coffee machine and comes with a Pannarello wand that doubles as a milk frother for lattes and cappuccinos, as well as a hot water dispenser for tea and Americanos. When it comes to accessibility, the machine puts the dregs drawer, water tank, and drip tray all within reach for quick and easy cleaning. 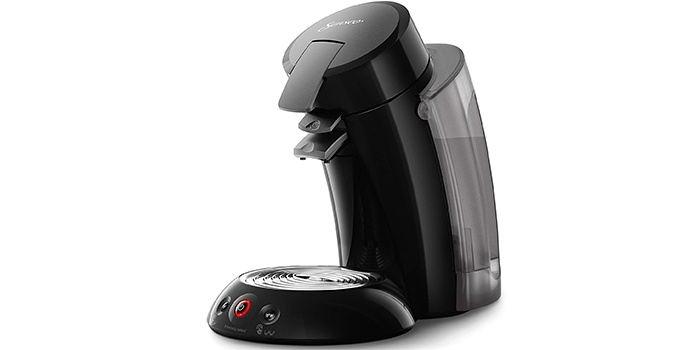 We should also point out that the machine features a LED display and push buttons for an easy coffee making experience. Furthermore, the machine heats up extremely fast and is great for steaming and brewing in seconds. 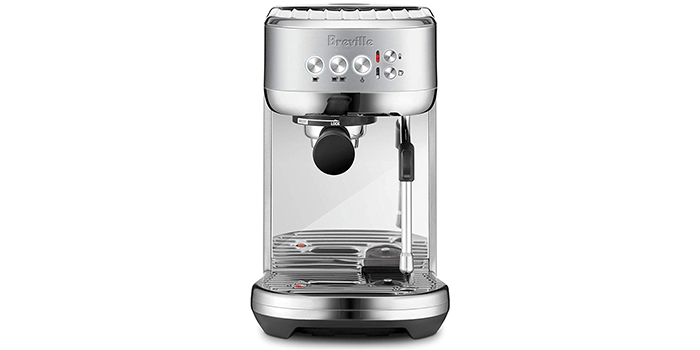 The Breville BES840XL/A the Infuser Espresso Machine is without a doubt, one of the best coffee machines available thanks to its long list of useful features. It has a 61 oz water tank and the pre-infusion technology applies low water pressure at the beginning to open up the coffee grinds and get an even extraction. You can choose either a single or double shot thanks to the volume controller while the 15-bar Italian pump pressure system allows for the perfect cup of coffee every single time. Not just that, but it also features a 1,600 W Thermocoil heating system to control the temperature of the water at all times. Built into the Senseo Original XL Coffee Pod Machine is the exceptional Senseo Coffee boost technology which passes water through 45 holes and over the coffee pad for a rich and smooth cup of coffee. The design allows you to customize your coffee and choose the brewing strength with a push of a button. The machine comes with a 40.6 oz removable tank which can make 8 cups of coffee at a time. Made from high-quality materials, this coffee maker will always leave you with a smooth and tasty brew with no drawbacks to speak of. Gaggia is a well-known name in the coffee machine industry and the 14101 Classic Semi-Automatic Espresso Machine is one of the very best they have to offer. It comes in a beautiful and rugged brushed stainless steel housing which makes it durable and elegant. The machine also features a commercial 3-way solenoid valve for quicker results. Along with that, the machine has a 58mm chrome-plated brass portafilter. For smooth and rich foam, the unit also comes with a turbo-frother attachment which is easy to use and maintain. 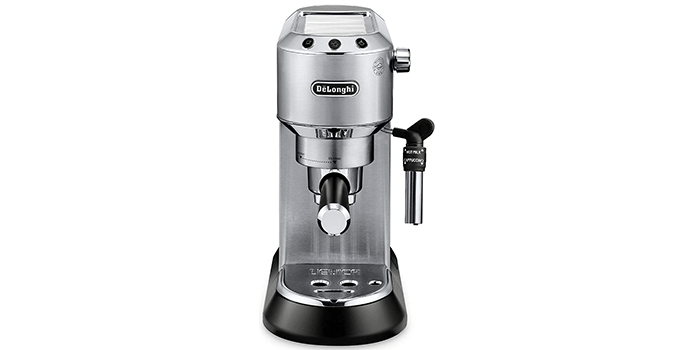 With its dual filter holders, the DeLonghi EC155 15 Bar Pump Espresso and Cappuccino Maker offers a simple and fast coffee making experience. You can use it to make lattes and cappuccinos at the same time thanks to the swivel jet frother, a versatility not many such machines possess. As such, you don’t have to wait for a cup of coffee again as this machine heats up in just a matter of seconds. Thanks to separate thermostats, the water and steam pressures can be monitored for the perfect cup of coffee while its professional 15-bar pressure pump ensures that you always get a rich cup of coffee with every batch.